Analyzing his boss’s music was probably not among Alan Fortas’s main duties as part of Elvis Presley’s personal entourage in the 1960s, and so he can be excused for not recognizing that “Can’t Help Falling in Love” would become one of Elvis’s most recognized recordings. 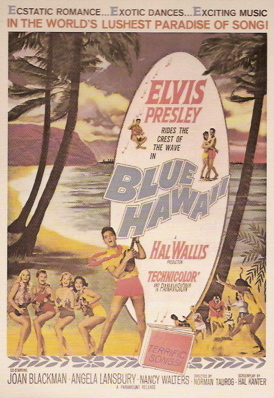 Elvis recorded the song during the soundtrack recording sessions for his 1962 film Blue Hawaii. The sessions were held in Hollywood at Radio Recorders studio on March 21-23, 1961. 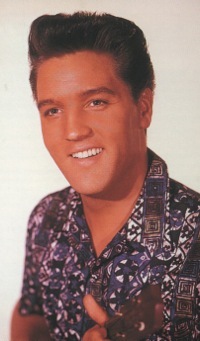 Elvis taped “Can’t Help Falling in Love” on the session’s last day. 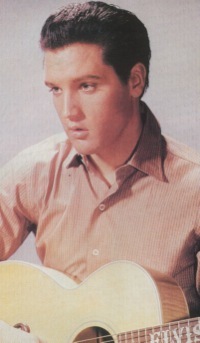 George Weiss, one of the song’s three composers, claimed that the movie’s producers and Elvis’s aides disliked the song, but Elvis still insisted on recording it for the film. Getting the tune recorded proved difficult. 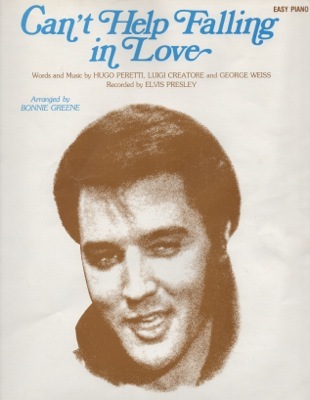 The original tempo was too slow, requiring Presley to pause seemingly between every word in the lyrics. He became increasingly frustrated as the number of false starts and abandoned takes mounted up. 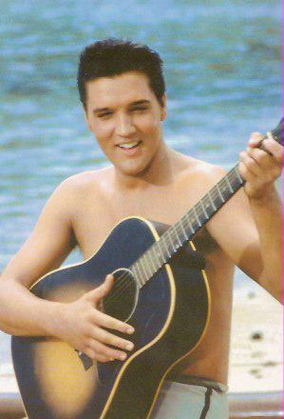 Increasing the tempo finally allowed Elvis to lay down a smooth vocal track that satisfied him. “Can’t Help Falling in Love,” based on an 18th century French melody, was written by George Weiss, Hugo Peretti, and Luigi Creatore. 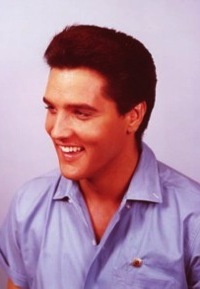 Presley’s 1961 version was the first recording of the song, published by Gladys Music, a company created in 1956 to allow Presley to collect future royalties on the songs he recorded. Both sides of the single entered Billboard’s Hot 100 chart on December 4, 1961, with “Can’t Help Falling in Love” at #57 and “Rock-A-Hula Baby” at #62. A week later, they were still close together at #41 and #47 respectively. But then “Can’t Help Falling In Love” took off, leaving the twist number far behind. Three weeks later, on January 6, 1962, the ballad entered the top 10, where it would remain for 6 weeks. It could get no higher than #2, however, denied the top spot by “The Peppermint Twist” by Joey Dee and the Starliters. After 14 weeks on the Hot 100, “Can’t Help Falling in Love” dropped off the chart in the middle of March. 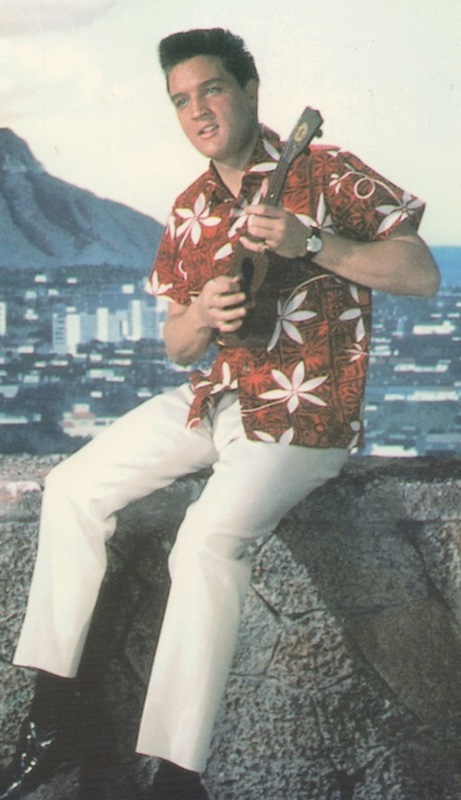 “Rock-A-Hula Baby,” which peaked at #49, lasted only nine weeks on the Hot 100. On Cashbox magazine’s top-seller list, “Can’t Help Falling in Love” entered at #50 on December 9, 1961. Two weeks later it entered the top 10 at #7. It remained in there for 8 weeks, peaking at #4 on January 13, 1962. It stayed on the chart for 15 weeks, last listed at #67 on March 17, 1962. 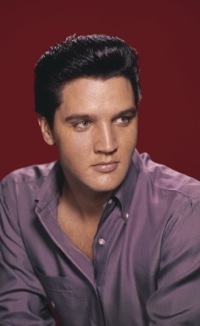 In all of the 1960s, the only Presley songs to spend more weeks on the Cashbox chart were “It’s Now or Never,” (19 weeks), “Return to Sender,” (17 weeks), “Are You Lonesome Tonight,” (16 weeks), and “Crying in the Chapel” (16 weeks). 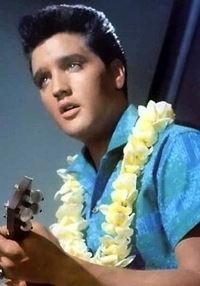 In Blue Hawaii, Elvis sang the love song not to his girlfriend, but rather to his grandmother at her birthday party. When she opened the music box he had given her, Elvis sang “Can’t Help Falling in Love” as the music played. 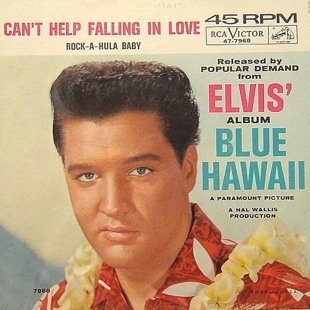 Through the years, “Can’t Help Falling in Love” has remained Elvis’s most covered song. Among the dozens of other artists who recorded it are Keely Smith, Andy Williams, Al Martino, Bob Dylan, The Stylistics, Shirley Bassey, and U2. 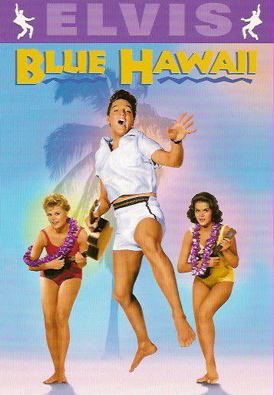 In addition to Blue Hawaii, the song has appeared in numerous other films, including Coyote Ugly (2000) and Disney’s Lilo & Stich (2002). In 2015, “Can’t Help Falling in Love” hit the charts again in a version recorded by Haley Reinhart for use in a series of TV gum commercials. On Billboard’s website on October 21, 2015, Leila Cobo wrote about the impact of Reinhart’s rendition of the song. “Can’t Help Falling in Love” was mentioned in news reports in connection with the tragic death of Christina Grimmie in the summer of 2016. The 22-year-old singer, who came to prominence with her third-place finish on The Voice in 2014, died of gunshot wounds while meeting with fans after a concert in Florida on June 10. Among the many tributes to her was TV critic Douglas Barclay’s accolade: “One of Grimmie’s best performances from her run on ‘The Voice’ was a devastatingly beautiful cover of ‘Can’t Help Falling in Love,’ made famous by Elvis Presley in the early 1960s.” In addition to her live performance on The Voice, Grimmie also made a studio recording of the song. Elvis, of course, sang “Can’t Help Falling in Love” live hundreds of times, starting in 1968, when he performed it before a live studio audience during the taping of his NBC television “Comeback” special. Then, beginning with his 1969 Las Vegas engagement at the International Hotel, Elvis used “Can’t Help Falling in Love” as the closing number in hundreds of his stage shows in Las Vegas and while touring around the country through mid-1977. "The ambition and concentration he put into a marathon twenty-nine takes of ‘Can’t Help Falling in Love’ on the final day suggested how seriously he took the beautiful, intimate ballad."